Beautiful. Simple. Fresh. I always make this salad when I have dragon fruit. It’s eye-popping and delicious. To me it tastes like a soft mix of kiwi, pear, and chia seed. Cut the dragon fruit in half. Remove the inside with your fingers. It should slide out pretty easily in one piece. This can be white or pink. Dice this into small pieces and toss into a bowl. Add shikuwasa juice, honey, mint, and zest to the bowl and mix. 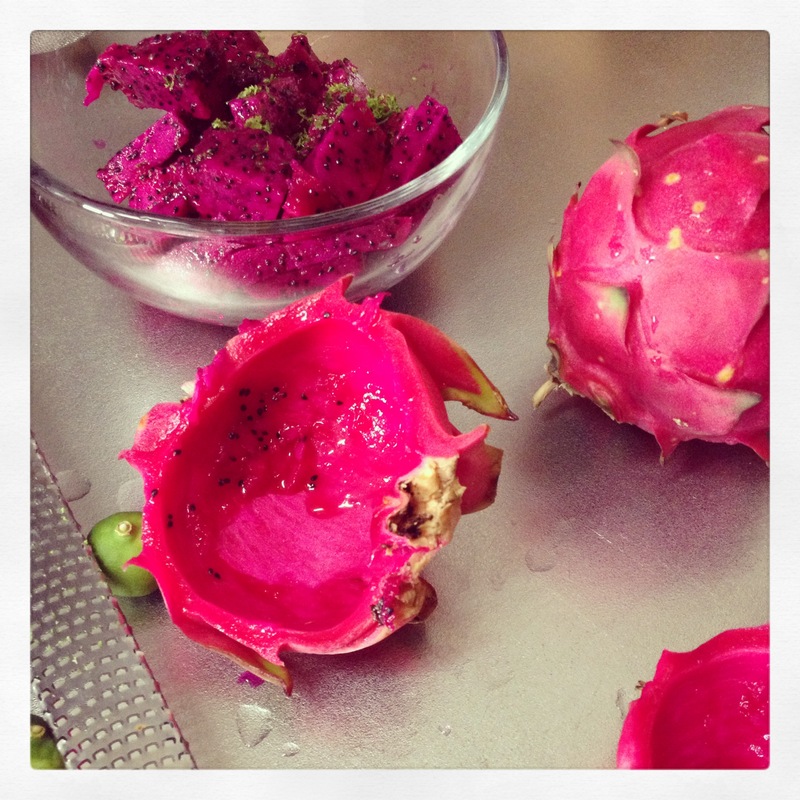 Put the dragon fruit mix right back into the peel for simple and pretty plating or eat from the bowl. 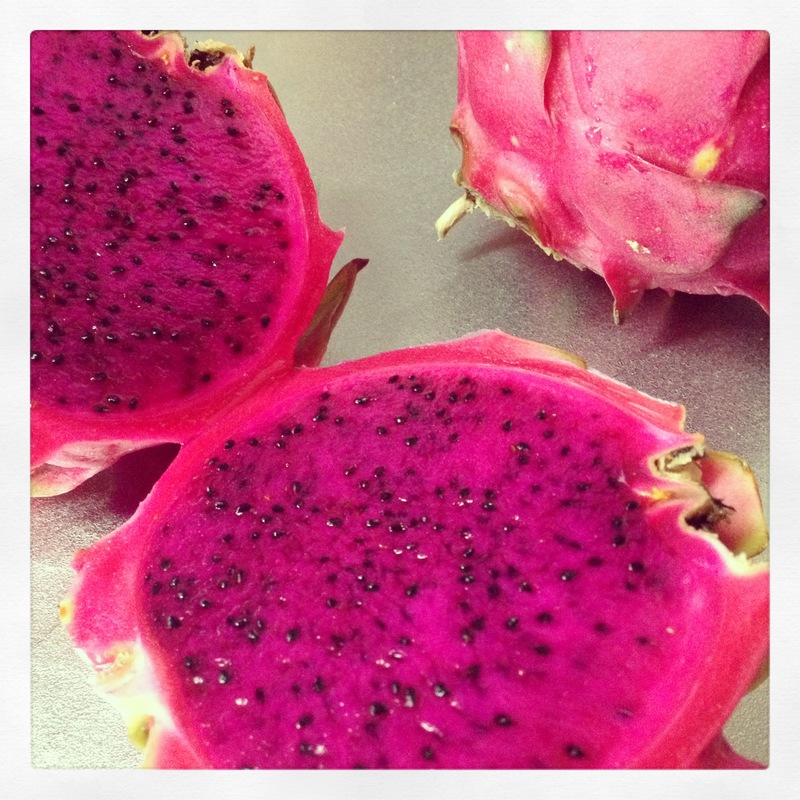 The juice of the pink dragon fruit will color your hands a lovely shade of pink. If you care, you should get some gloves. If not, enjoy the beautiful color. 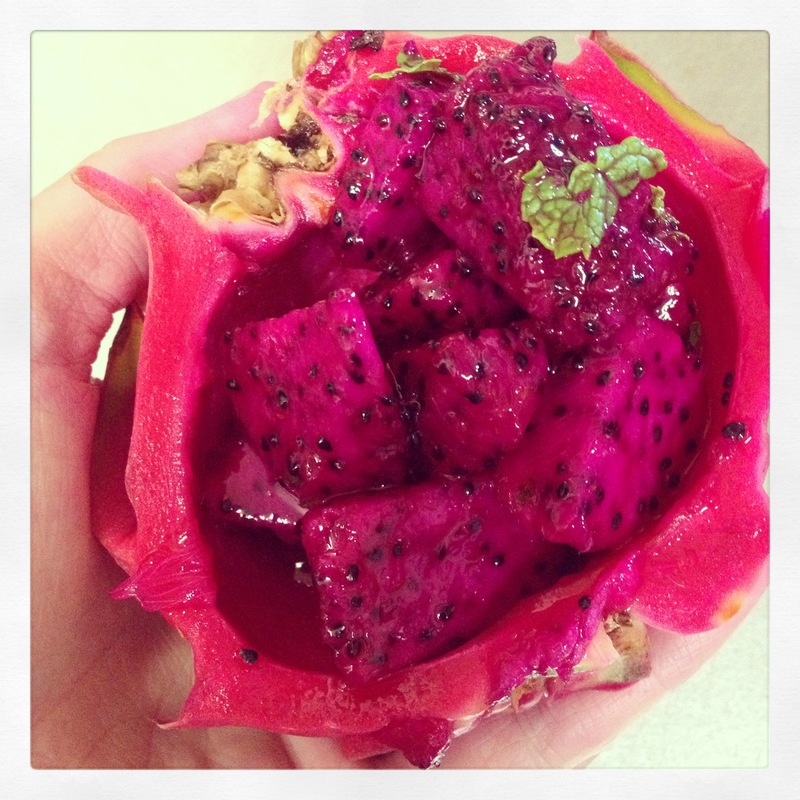 Its other name is Pitaya! Like pitta, yah! 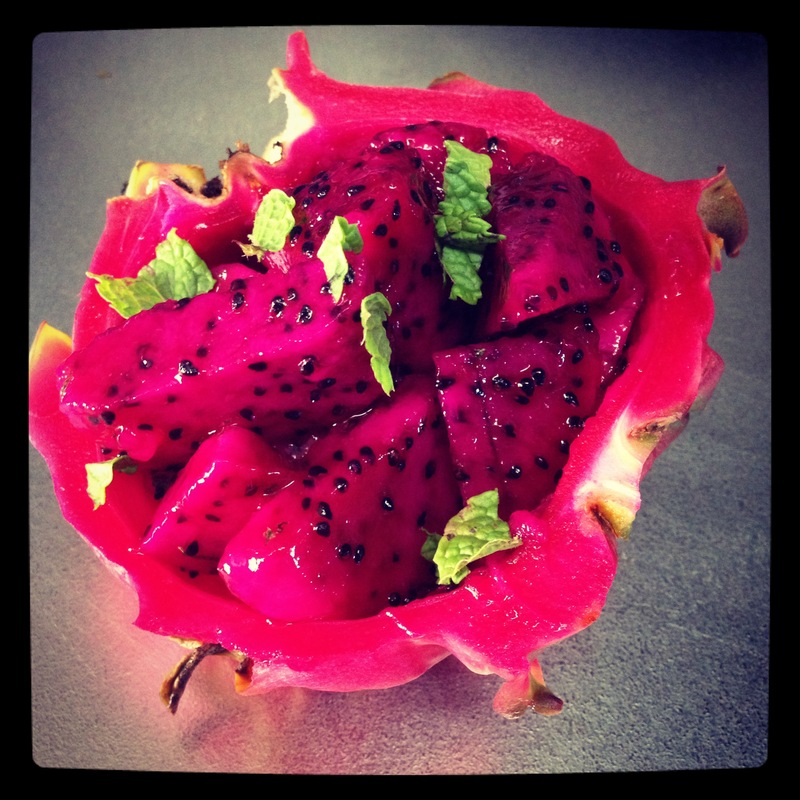 =) Dragon fruit is great for pitta people! So eat up! It’s also a good choice for kaphas due to its lower sugar content compared to other fruits. 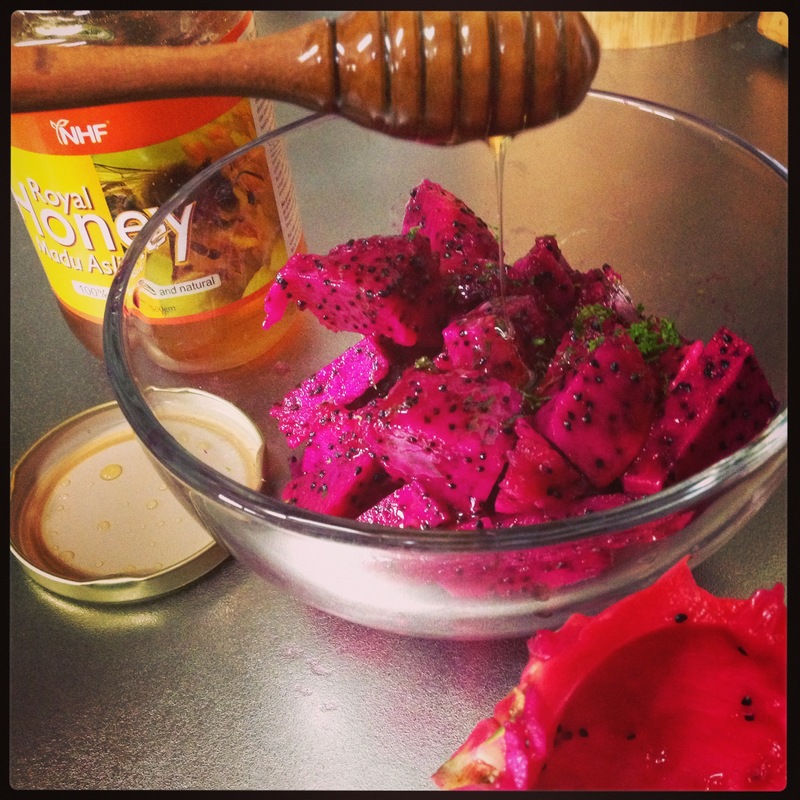 This entry was posted in Ayurveda, Food and tagged dragon fruit, dragon fruit salad, honey, kapha, mint, naturally diy, pitaya, pitta, shikuwasa. I hadn’t seen the Dragon Fruit yet! I’m thrilled to be able to get some now!